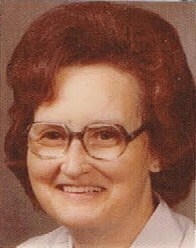 Violet Gertrude Trotter, 91, widow of Arthur H. Trotter of 405 Blue Ridge Ave., died Friday, December 07, 2018. Born in Anderson County, she was the daughter of the late Edgar and Gertrude Duncan Ashley. She was a member of Belton Second Baptist Church. Surviving are her great granddaughter, Isabella Jarrett. She was preceded in death by: daughter, Gloria Estelle Trotter Jarrett; grandsons, Donald Richard and Jamie Lee Jarrett; brothers, Tolly, Howard, I.T., Aubry, David and Marshall Ashley; sisters, Evelyn Gossett and Ella Mae King. Service will be held 2pm Monday at Cox Funeral Home Chapel with Dr. Rev. Mitch Brooks officiating. Burial will follow at Belton Cemetery. The family will receive friends prior to the service Monday from 1pm until 1:45pm at the funeral home. In lieu of flowers, memorials may be made to Hospice of the Upstate, 1835 Rogers Rd., Anderson, SC 29621.